Home Discount offers this stunning new product with a modern stylish design, the 5 Piece Companion Set Range. 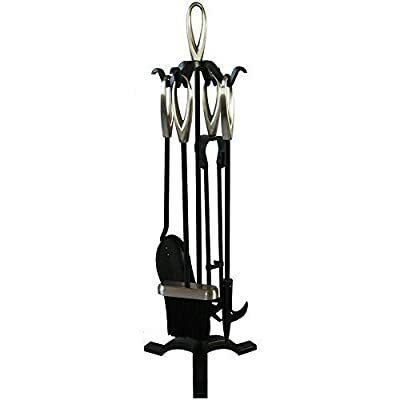 This classy 5 piece fire companion set includes a shovel, a brush, a poker, a tong with loop handles and a stand. Not only is this set sturdy, it has a quality finish and is sure to make the perfect fireside accessory. This set is available in black, black & nickel and black & brass.